The thicker cement screed, the more shrinkage cement screed itself. To fix tiles at the same time as to do surface leveling will be the cause of tile debonding. This is because; Non-absorbent means no porosity, there is then no pore for traditional mortar to penetrate and create bonds between tile and adhesive. 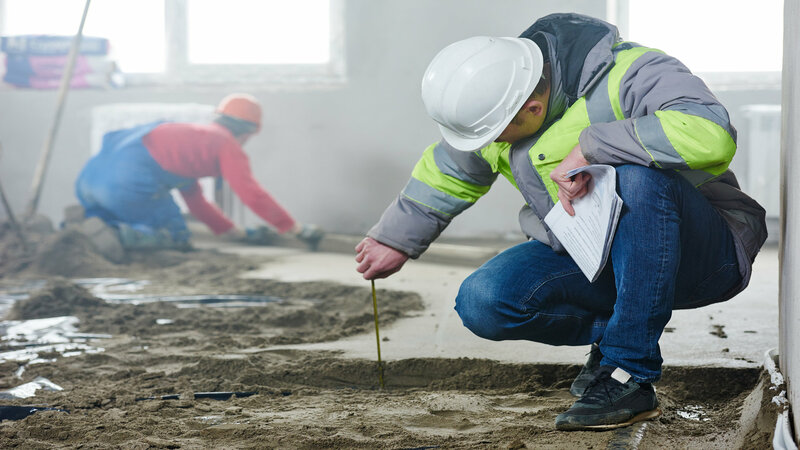 Cement generally shrinks once it sets, which causes less contract of cement (mortar) to the tile surface. Most of the large-size tiles are homogeneous with very low porosity. Tile adhesive usually works by penetrating itself through tile porosities and then generate bonds called mechanical bonding. But when there is no porosity, chemical bonding plays an important role. To have chemical bonding is to add Polymer into the formula of tile adhesive. It is then necessary to use high performance tile adhesive with Polymer composition to fix large-size tiles or non-absorbent tiles. The meaning if open time is the maximum time interval after application during which tiles can be embedded in the applied adhesive and meet the requiremnet of specified tensile adhesion strength. Open time is an important property for tile adhesive; no longer the open time, the quicker the tiling process. Most of large-size tiles are homogeneous while the absorbent value of granite and marble depend on their source. It is not more difficult to fix these type of tile than to fix normal size ones. Therefore high performance tile adhesive with Polymer composition has to be used for tiling in order to have extended open time and adjustability. 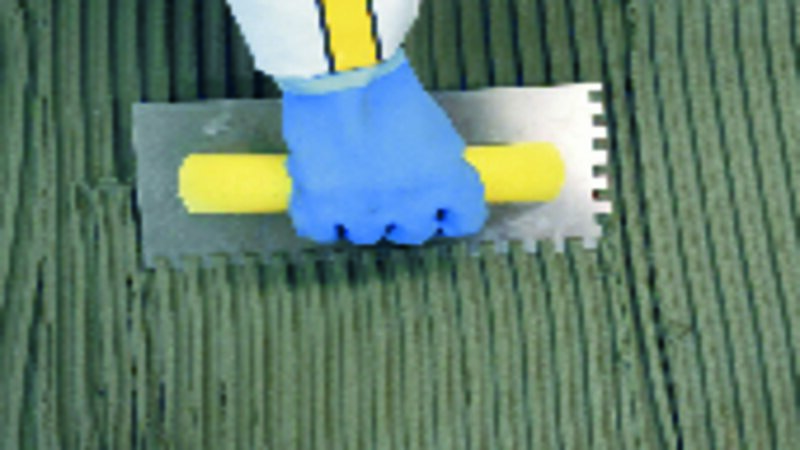 High performance tile adhesive also provides more bonding efficiency between tile and substrate. 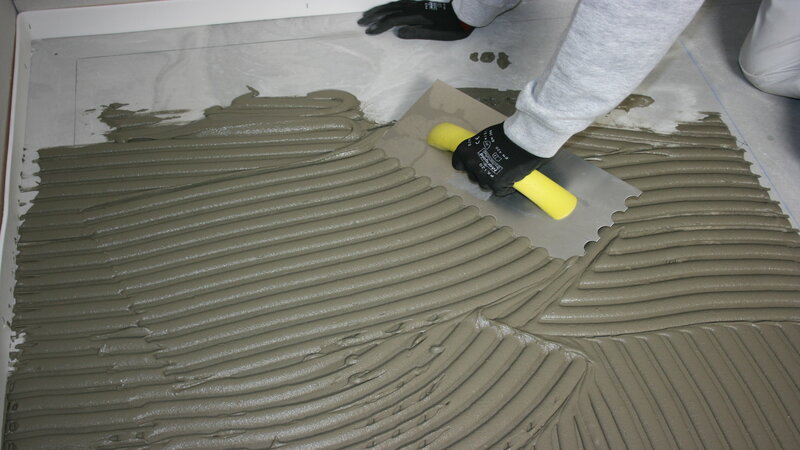 This type of tile adhesive is called "Improved Cementitious Adhesive". Fixing large-sized tile and granito size upto 60X60cm. Fixing marble, granite, large-sized tile and granito size upto 60X60cm.